Brand new to the city? About to hit that two year mark? Or maybe you remember the city when it was just a desert. No matter how long you’ve been here, there are some classic Dubai experiences you need to tick off your to-do list. So we’ve rounded up 60 things you have to do before you leave. The best Arab export after oil, the shawarma is a Levantine wrap filled with chicken or lamb carved from a rotating spit. Top this with your choice of hummus, tahini, garlic sauce and tomato. Dubai Rugby Sevens is a great excuse for a party whether you’re a rugby fan or not. Happening every December, it’s one of the biggest fancy dress parties there is. Plod along on this great humped beast and pretend you’re a desert explorer. Learn camel facts and drink camel milk while you’re there. With acts like Mariah Carey and John Legend gracing the city, what more reason do you need to go to this grassy lakeside venue? Textiles, spices, perfume and gold – they all have their own souk in Deira so get a taste of trade before malls took over. Go dune bashing in a 4×4, watch a falconry display, get a henna tattoo and eat Middle Eastern food while a belly dancer struts her stuff. Dubai International Film Festival attracts the best new films from across the globe, not to mention the stars in them. 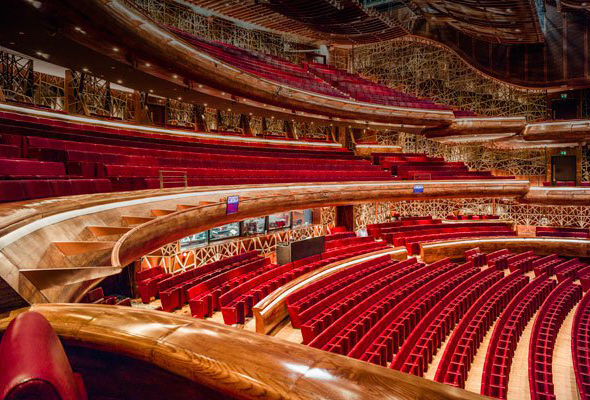 Squash, pop, musicals… Dubai Opera is no one trick pony. Glam up and head to one of the venue’s ever-changing shows. 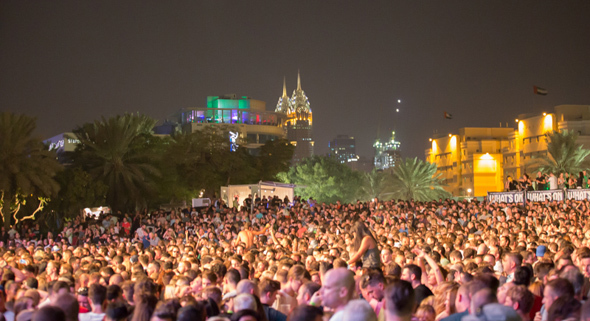 Dubai’s very own fashion and culture festival Sole DXB takes place in d3 every December. Heading into its seventh year, the three-day festival brings together top street culture across art, food, music, sport and style. For centuries, these 20-person wooden boats have served as water taxis across the Creek. Take the eight-minute trip and get a peek of Dubai as it was, for a single Dirham. All the wonders of the seven seas, packed into a tank in the world’s biggest mall. Strap yourself to a trained skydiver and jump from a plane at 13,000 feet. The one-minute freefall over the Palm is the closest you’ll get to flying, and the peaceful parachute descent lets you admire the view. The only mosque in Dubai open to the public, this proud edifice is a place to soak up the serenity of Islam. Dubai’s newest – and most picture-perfect – landmark consists of two 150-metre high towers, connected by a 93-metre glass bridge at the top. Take a trip and admire the panoramic views over old and new Dubai. Stand on the beach and snap yourself with Dubai’s iconic hotel behind. The more witty can put out their hand and pretend to be holding ‘The Burj’ in their fingers. Enter an exclusive screening room, sink into a leather reclining seat, order food and drink during the film, and get cosy with a blanket and pillow. Tucked away in a corner of JLT by the waterfront, the friendly Nofara Café does a mean shakshouka, which is perfect for breakfast. Served with a hunk of rustic bread, the spicy blend of tomatoes and baked eggs is like an alarm call for your tastebuds. 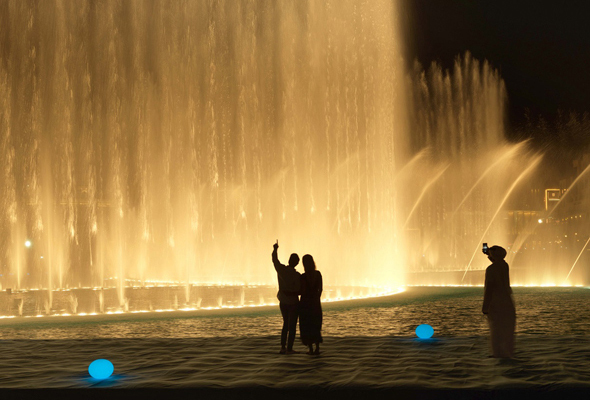 Gawp at the world’s tallest water plumes as they shoot skyward to rousing music. A dentist’s chair, a Moroccan tagine, a masquerade mask – whatever pops into your head, you can probably buy it at this sprawling Chinese mall. Lose your inhibitions, and a little self-respect, at the most bacchanalian brunch of them all. This no-frills Pakistani restaurant keeps the crowds flocking with its good Punjabi food and cheap prices. 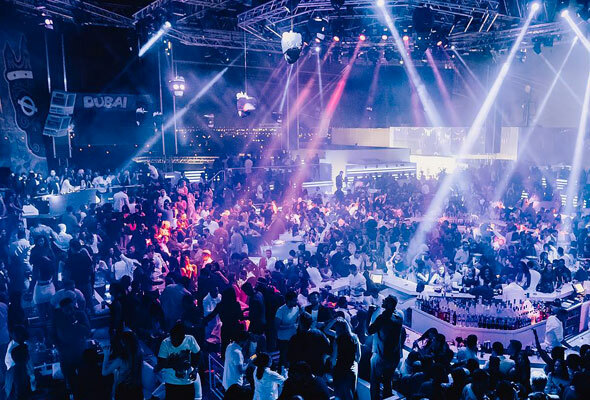 This notorious nightspot is one of Dubai’s best party destinations. With weekly live performances and some epic ladies’ night deals, it’s a must-hit club while you’re here. Roam the dusty streets of this industrial district in search of an art gallery, pop up cinema or quirky cafe. 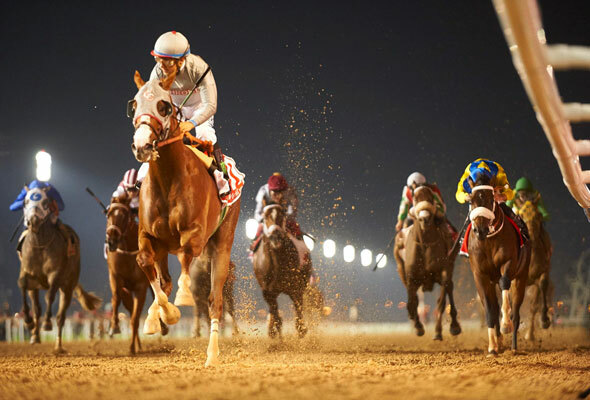 Get dressed up to the nines and watch the richest horse race in the world. Ride them, milk them, eat them – camels are versatile creatures. Honour a Bedouin tradition and try camel meat, in modern burger form. 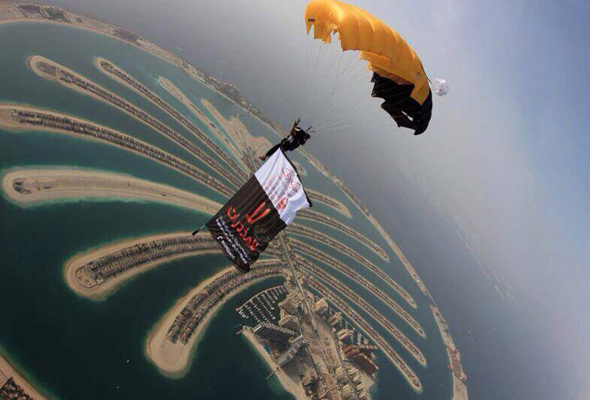 Take off from the water in a seaplane, fly over the iconic sights of Dubai and come in to land with a graceful sploosh. The experts at Offroad Zone will show you how to let loose in the desert in a 4×4. Come with a big budget and eat on Level 122 of the world’s tallest building, Burj Khalifa. You may think of camels as lumbering beasts but in fact they can reach speeds of 65kmh. See them thunder along a racetrack with mini robot jockeys on their humps in April at Al Marmoum Heritage Festival. Overcome a huge challenge, give your training a focus and raise some money for charity – stop talking about it and enter this 42.195km race. Strap yourself to a board and let a big kite pull you across water. Welcome to the fastest non-motorised watersport out there. Listen to the lapping waves, gaze at the pearly moon and contort yourself into a human pretzel. Carve some turns in manufactured snow at this massive fridge for humans. Join the free running craze at this 25,000-square-foot fun factory with more than 80 trampolines, a performance area, running walls, basketball hoops, a dodgeball court and a giant airbag. 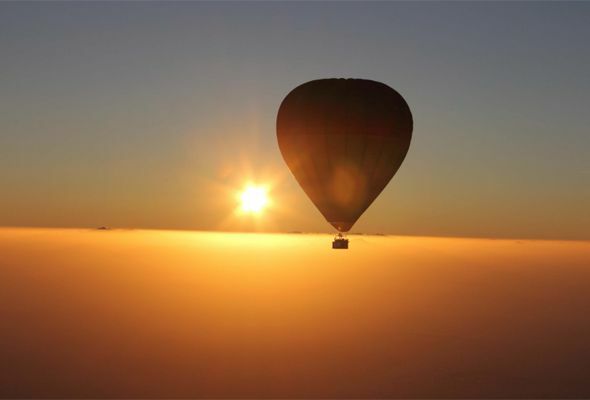 Glide through the skies above rolling dunes and oases, and watch the sun rise behind the Hajar Mountains. Learn about the culture, customs and religion of the UAE at the Sheikh Mohammed Centre for Cultural Understanding. Smash through the man-made rapids in a rubber dingy at this state-of-the-art theme park. Olympic canoeists train here, you know. Set off independently with a group of experienced campers, or join an overnight desert safari for a spot of glamping. Hop on and off this open-top tour bus and visit all the essential Dubai landmarks in one day. The audio narration gives you a master-class in everything Dubai has to offer so you’ll be ready for the local knowledge round at the next pub quiz. Green as far as the eye can see, farmers’ markets on weekends and live acoustic music events – welcome to Dubai’s answer to Hyde Park. 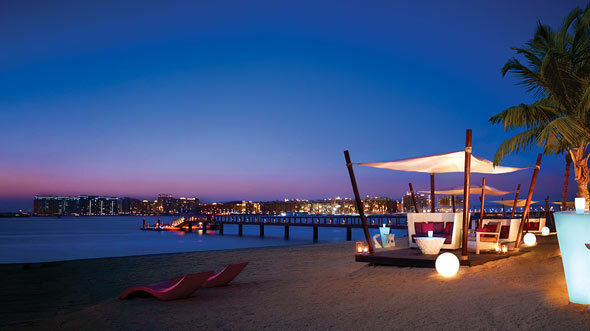 Order a fruity cocktail, nab a table on beach and look out towards the calm Arabian Gulf at this swanky beach bar. Visit the Sheikh Mohammed Centre for Cultural Understanding, which hosts cultural iftars every year. It’s a unique opportunity to break the fast with Emirati locals, who will explain the UAE’s customs during the holy month. Indulge in an exotic Turkish hamman spa treatment where you’ll be scrubbed, rinsed, lathered and massaged while resting on a warm marble slab. It’s an experience you’ll never forget. It might be a tourist trap, but it’s no wonder why, JBR has some of the best sunsets the city has to offer. Grab your friends, pretend you’re all millionaires for a few hours and hire a fancy yacht or catamaran. Don’t forget to take the obligatory selfie shot in front of Burj Al Arab, just to prove how awesome you are. 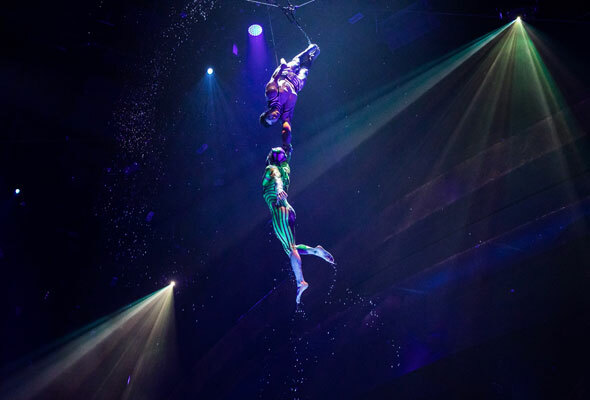 La Perle is Dubai’s permanent water-based theatre performance. The Habtoor City show is a must-see. Strap into the cockpit of a 180 BHP race car and hit the gas. From the world’s biggest (Dubai Mall) to the bargain-hunters Dubai Outlet Mall, spend the day trawling Dubai’s top Malls for bargains, and try not to pass out by the end. They’re known as some of the city’s best after-hours parties, start networking now to get yourself in. Park your car alongside the grounds, pull out your blanket and picnic hamper, and enjoy a jolly good polo match during the cooler months. Tally ho! Tuesdays mean ladies’ night in Dubai. If you’re going to do it, do it right. 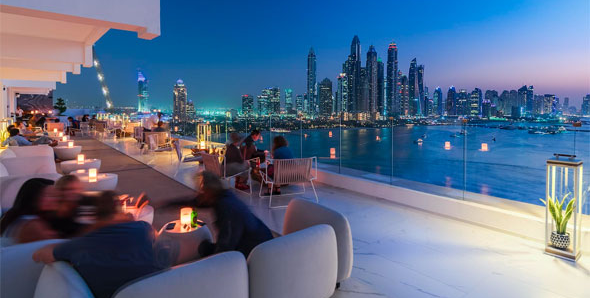 Head The Penthouse Dubai on the 16th floor of FIVE on The Palm – a lively adults-only rooftop day club and evening lounge offering spectacular views of the stunning Dubai skyline. On ladies’ night, girls can enjoy three free drinks from 6pm to 9.30pm. Escape the skyscrapers and travel back in time with a trip to Al Fahidi, previously known as Bastakiya. This atmospheric area in Bur Dubai is one of the oldest heritage sites in the city, with its traditional wind towers, hidden courtyards and maze of winding alleyways. ATMs and food vending machines are so last century. Purchase anything from a 2.5-gram, 24-karat gold coin to a rather more substantial 31-gram (one ounce) gold bar. 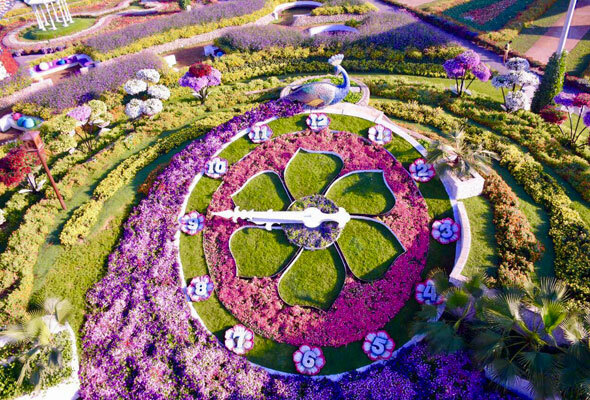 With more than 45 million flowers and more than four kilometres of walkways, it’ll be a miracle if you can walk through Dubai Miracle Gardens without breaking a sweat. Complete the gentlemanly ritual of having a shirt made to measure. Unless you are a badger, you likely eat with the lights on. Not so at Noire. Eat in absolute darkness while being served by waiters with night vision goggles. It’s awkward and rowdy but the food is divine, if you can manage to put fork to mouth. Familiarise yourself with the local lingo beyond ‘inshallah’ and ‘habibi’. Try your hand at clay pigeon shooting at this fortress-styled building and you might even find yourself shooting alongside UAE Olympian Sheikh Saeed Bin Maktoum Bin Rashid Al Maktoum, who regularly trains here.